Raymond Pigg - THE MASSACRE AT LE PARADIS - HELL IN PARADISE - MAY, 1940. Private 5767855 Raymond Arthur Pigg. Died 27th May, 1940, aged 36. 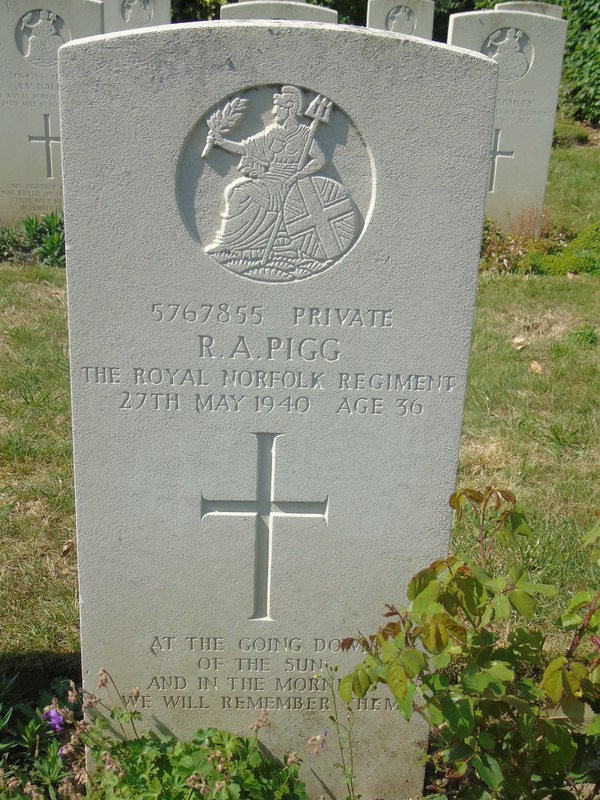 ​​Son of Arthur James Pigg and Gertrude Ellen Pigg, of Pulham St. Mary, Norfolk.